Get Cash for your house. Pay no commission, fees or closing costs! No matter your situation, no matter the condition of the house or no matter the price, we buy houses for cash!! I’ll admit, I was hesitant to call at first, but I was so sick of dealing with tenants who were destroying my property. 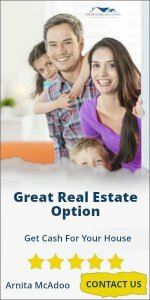 I didn’t want to list with a Real Estate Company due to all the fees and hurdles. I figured I had nothing to lose so I called Caleb. Within 12 hours his company made me a reasonable offer. Best part is, I DIDNT have to clean the house up for him to buy it! We closed the following week and I had a check in my hand. Do not call anyone else. Caleb solved my problem in the most professional way possible. THANKS A TON CALEB!!! !